An astronaut, left behind, uses his experience and knowledge to continue his existence on an alien planet in the hopes that one day he will be rescued. The extended edition includes an extended cut featuring 10 minutes of brand new footage not shown in theaters as well as more than two hours of behind-the-scenes content. 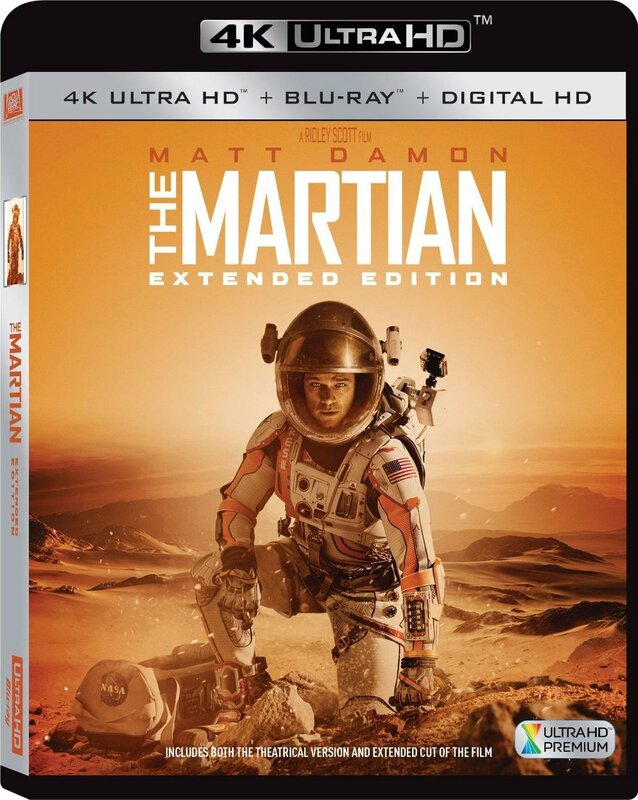 Included in the new material is audio commentary by renowned director Ridley Scott, writer/executive producer Drew Goddard and author of the novel Andy Weir. There is also a documentary of the science behind recreating Mars for the film; interviews with NASA specialists and engineers; and a Q&A panel discussion about the planned journey to mars featuring commentary from NASA experts. The Martian is one of the most talked about films of the year and has been named one of the best movies of the year by groups such as National Board of Review, which also awarded top honors to Ridley Scott for Best Director, Matt Damon for Best Actor and Drew Goddard for Best Adapted Screenplay.